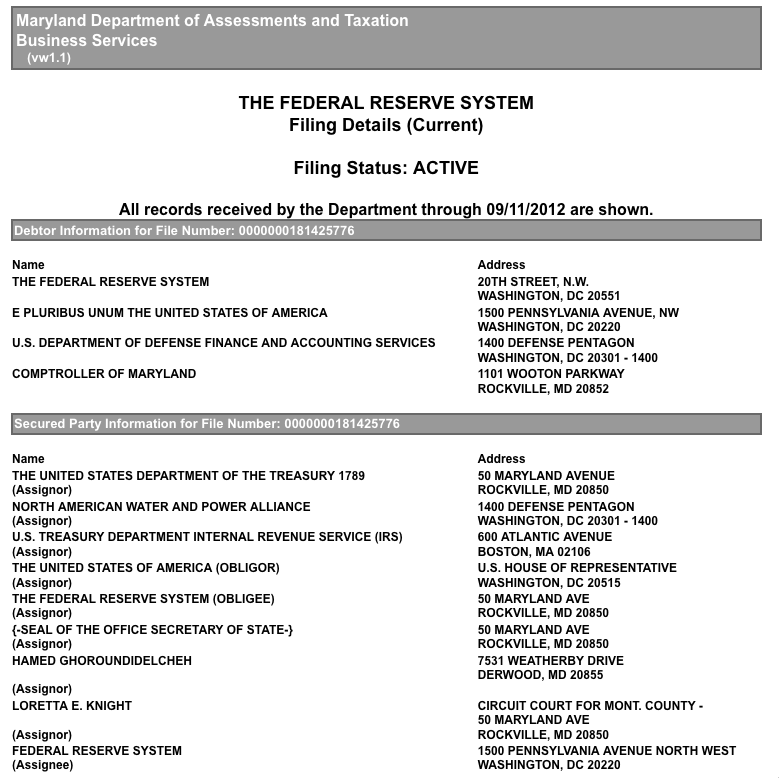 Is the US Treasury to Forclose the Federal Reserve System? 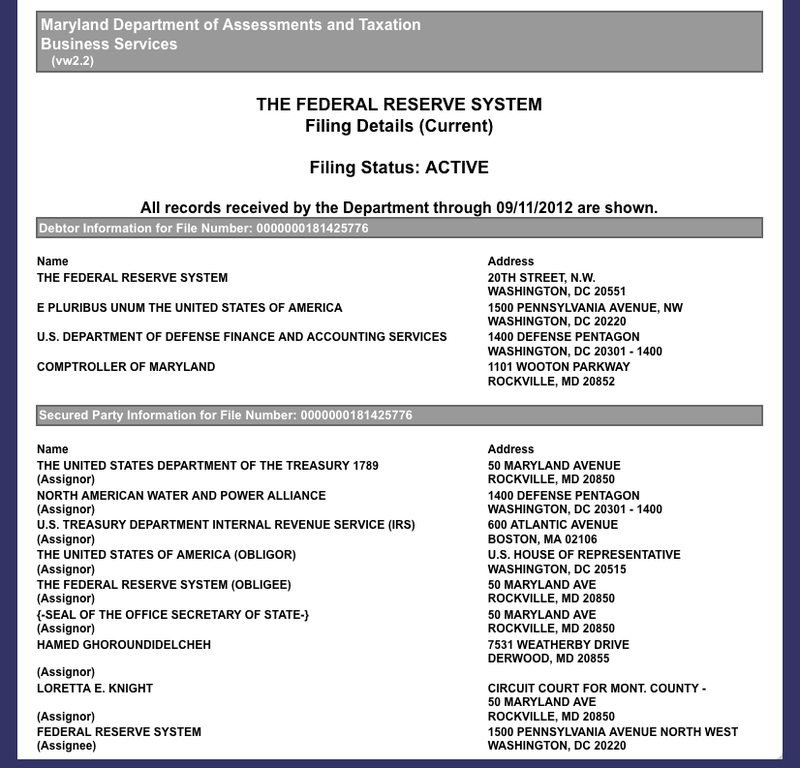 1500 PENNSYLVANIA AVENUE, NW WASHINGTON, DC 20220 U.S.
And if you click over here to the underlying document, what’s the amount involved in this UCC filing? How about just north of $14-trillion dollars? Oh, and part of the University System of Maryland. Ok, I would like for you see this for yourselves rather than post the document, I hope you guys are ready for this one! We know that the labor of the people have been pledged for the debt right? Well, all I can say is, check this out! You’ll view quite an interesting document. Remember, this is the official record!